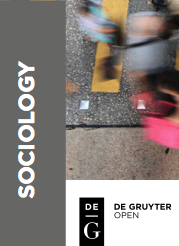 The international publisher De Gruyter has recently launched a program called De Gruyter Open dedicated to Sociology, where I have been involved as Associate Editor. De Gruyter Open is a leading publisher of Open Access academic content, publishing in all major academic disciplines, with more than 350 scholarly journals and over 100 books. The Open Access Book Program offers a variety of publishing solutions and services for individual authors and organizations alike. While the program focuses on scholarly monographs, they also welcome edited volumes, reference works, and conference proceedings, which are processed with a review process for each book proposal and manuscript, and with a quick turnaround time from book manuscript to publication.